As a result, there are two options available for site administrator – enable paid services separately or create subscriptions plans. Every subscription plan includes a number of paid services with certain fee and activity period. Administrator can create as many subscription plans as he wants. 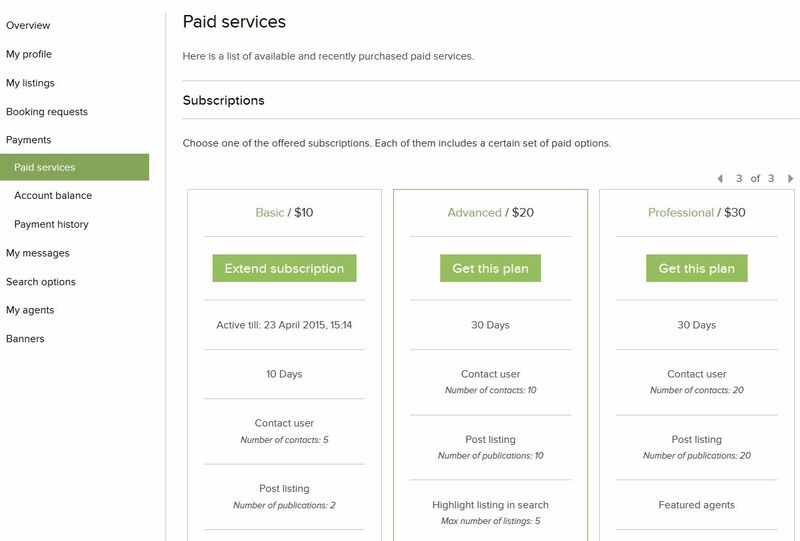 Site members will see a user-friendly comparison of available subscriptions plans. Yes, this trend didn’t bypass us. The interface of PG Real Estate site is adapted to the screens of tablets. However, search results page still requires deeper improvements, this change is in the process. More interesting changes will come soon!